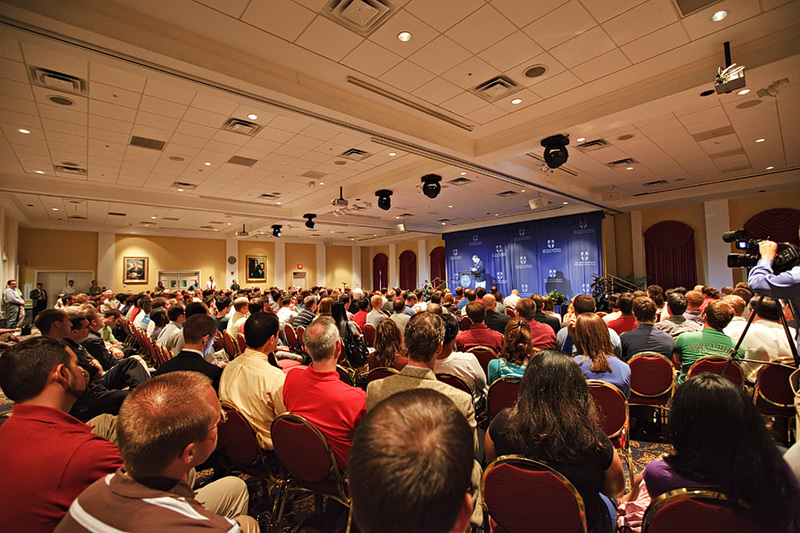 Posted on Aug 20, 2009 | by Jeff RobinsonLOUISVILLE, Ky. (BP)–The Southern Baptist Convention faces a critical crossroads and must move into the future with denominational structures and methods open to change or face serious decline, R. Albert Mohler Jr. told attendees of a forum on the future of the SBC held Aug. 19 at Southern Baptist Theological Seminary. Southern Seminary’s president said the SBC in 2009 continues to operate largely out of a model that the denomination adopted from corporate America in the early 20th century, a model that prioritizes efficiency over theological conviction in carrying out the task of missions. “Certainly in business, efficiency can be a make-or-break word between profit and loss,” Mohler said, “but when it comes to missions and the work of our churches and the work of the Gospel around the world, efficiency has a limited application. In the 1950s, the SBC underwent a restructuring calculated to bring greater denominational efficiency, Mohler pointed out; this led to the adoption of a programmatic approach to ministry based more on corporate management practices than theology. The approach worked because in those days the SBC largely held the evangelical franchise in the deep South and its programs were so vast that a Southern Baptist would develop a “tribal identity” that defined his church life from the cradle to the grave; Southern Baptist children would participate in all of the age-appropriate SBC programs from life until death, he said. Though American culture, particularly in the Bible Belt, has changed profoundly, Mohler said the SBC has continued to operate out of a 1950s programmatic mentality. He compared the denomination to two American institutions: the General Motors Corporation (GM) and the shopping mall. For most of the 20th century, more than half of all automobiles sold in America were manufactured by GM. While the car-buying culture changed in the late 20th century, GM continued to operate out of a business model that worked well in the 1950s. Now, the auto giant has declared bankruptcy and has ceased to be a publicly traded corporation. Similarly, shopping malls exploded in number over the second half of the 20th century, but today, hundreds of the hulking complexes sit empty because businesses want to operate outside of malls so their storefronts will have increased visibility. In the same way, Mohler said the SBC faces a bleak future if it continues to minister out of a business model from the 1950s instead of one driven by theological and missional concerns, neither of which is susceptible to the shifting currents of culture. “The question we have to ask is the same question that General Motors should have been asking for the last 20 years: What has changed and why have we not?” Mohler said. “Or for those whose business is the shopping mall: Has the logic of this particular organizational pattern been eclipsed by something else? – Missiological or bureaucratic. The denomination will be driven by the work of the Gospel mission as set forth in Scripture or it will die a slow death along a path clogged by bureaucratic red tape. – Tribal or theological. The SBC must be driven by common doctrine and not a “cradle to death” ethos in which one is a Southern Baptist by virtue of being raised in a SBC church. The SBC “tribal identity” no longer exists because the cultural assumptions that underpinned such a nostalgic identity have disappeared, he said. – Secular or sectarian. 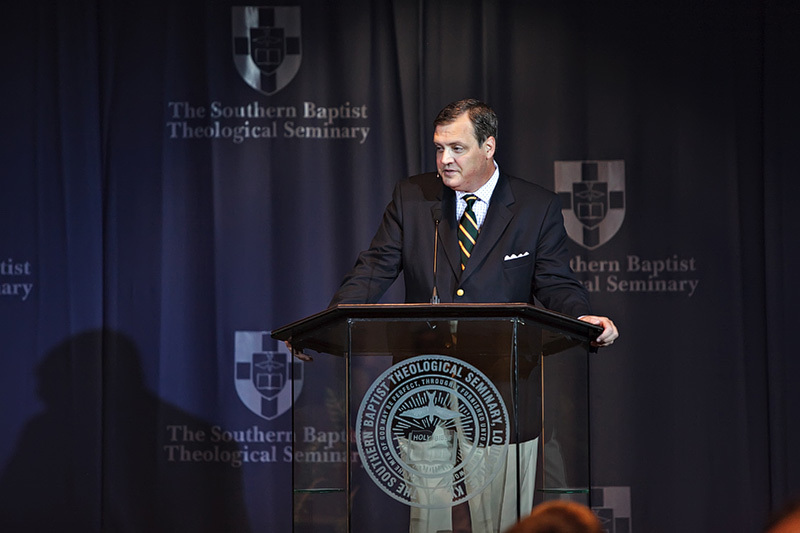 Southern Baptists are sectarian by their very nature, Mohler said. Because of their allegiance to Christ and Scripture, he urged that they be qualitatively different than the world in their mores, ideology and convictions. In the mid-20th century South, Southern Baptists did not have to be sectarian because they were “at home” within that culture, Mohler said, but no longer. – Younger or dead. The SBC, Mohler pointed out, is losing two-thirds of its young people between adolescence and adulthood. He said Southern Baptists must reach the younger generation with a theologically robust vision of the Christian life to rescue them from a deadly therapeutic ethos that says God wants their lives to be worry-free, prosperous and happy. – Diverse or diminished. Mohler said studies show that by 2050, 25 percent of all Americans will have a Hispanic grandparent. The denomination will have to become more racially diverse to reach America, he said. – More strategic or more anemic. Southern Baptists must update their missions strategy at every level. Local churches will have to become individual missiological units to reach their communities, Mohler said. A fast-changing world demands that Southern Baptist be constantly rethinking their missions strategy. – Happy or bitter. The SBC has gained a reputation for denominational crankiness, Mohler said, adding that Southern Baptists often seem upset, angry and frustrated even while claiming to be happy. Regarding the Cooperative Program, Southern Baptists’ unified giving plan, Mohler said the convention has perception problems and reality problems. Mohler acknowledged that Southern Seminary would not be viable without the money channeled through the Cooperative Program, but the plan in its current form is simply not enough. “It’s not enough for two reasons. Number one, as it’s presented it sounds like our greatest goal is to cooperate. Well, the United States Army can have a Cooperative Program. This needs to be very clearly presented in both its ethos and its reality as a way of reaching the nations with the Gospel of Christ, without having to explain what it is. Do we cooperate? Yes, and in 1925 [when the Cooperative Program was founded] the big question is whether the Southern Baptists are going to cooperate. The big question in 2009 is whether Southern Baptists are going to be relevant in the mission of God and the world. Jeff Robinson is director of news and information at Southern Baptist Theological Seminary. Baptist Press staff writer Erin Roach contributed to this article. 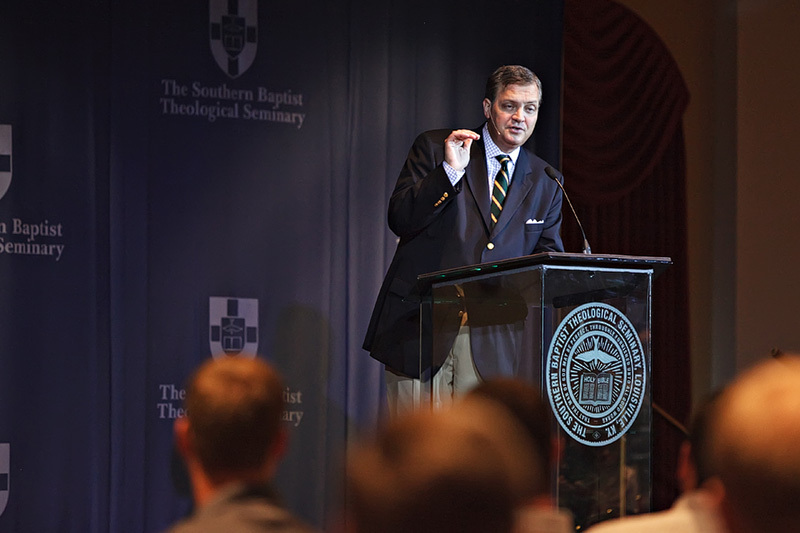 The audio of Mohler’s presentation is available at www.sbts.edu/resources/lectures/presidents-forum/the-presidents-forum-on-the-future-of-the-southern-baptist-convention/. I was really glad to be able to spend time with a large number of students Wednesday as I delivered an address, “The Future of the Southern Baptist Convention,” at a Presidential Forum. We were also able to allow hundreds beyond our campus to watch by streaming video. Now, we have posted the address so that others may hear it as well. In this address, I hoped to set out a vision for the future of the Southern Baptist Convention that takes seriously the history that has shaped our denomination. Even more importantly my goal was to share a vision that would help us all to think about what the Southern Baptist Convention could be and should be as we seek to be more faithful to the Great Commission. Please let me know what you think about what I had to say. My sincere hope is that this address helps to begin a conversation. I will look forward to hearing from you as together we think and pray about what the Southern Baptist Convention should become as we move toward to the future. Please continue to pray for our churches, our convention, and for the work of the Great Commission Task Force that will report to the SBC in Orlando.